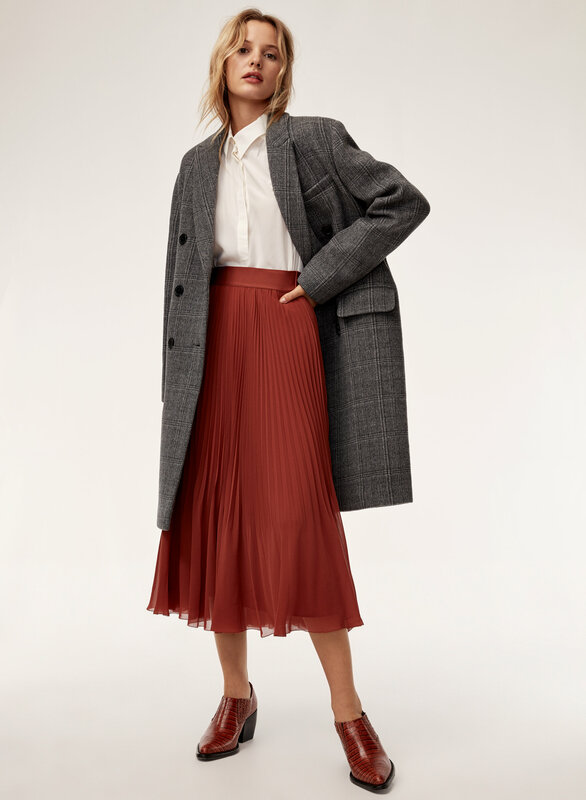 Styled with terre skirt and marais wool coat . Cut from pure silk, the Colleta is universally feminine and flattering. The silk is specially washed to give it a matte look and subtle texture. incredibly soft and lays very well. 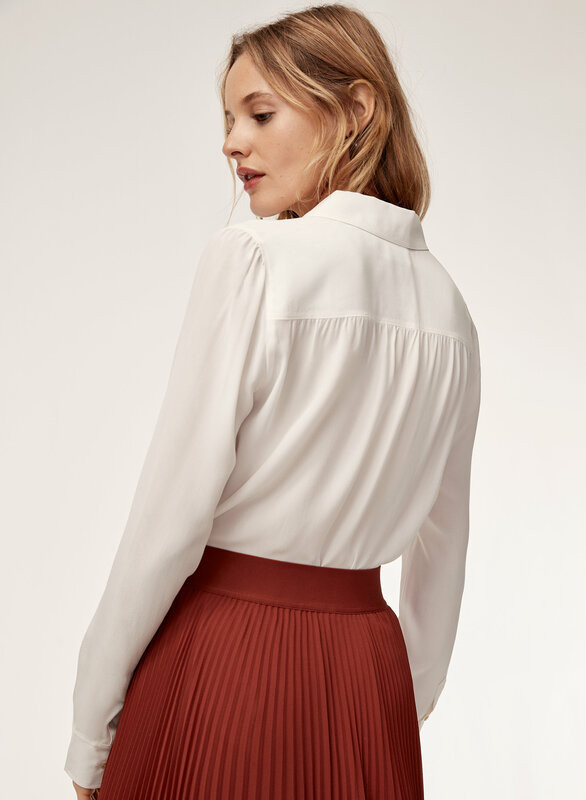 I was looking for a silky soft button down to add a black necktie with and this shirt is perfect. The material is incredibly soft and lays very well. Bought a black neck tie for $5 on amazon and its a great look. 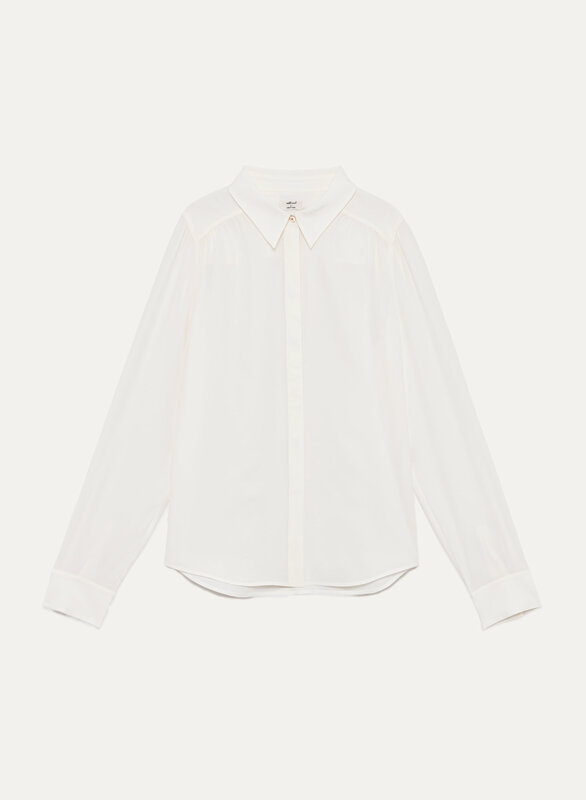 Frame has similar shirt with necktie for double the cost. I tend to wear XS's in most brands but i always order up a size with Wilfred though just to be safe and the size small is just right. I'm 5'2", 115 lbs.